True story of how a father deals with his son’s crystal meth addiction. 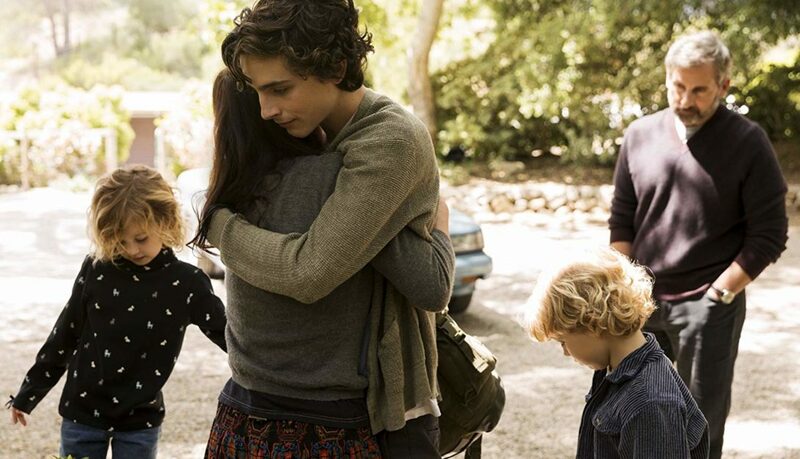 Timothée Chalamet (Call Me By Your Name) co-stars with Steve Carell (Foxcatcher) in Felix Van Groeningen’s (The Broken Circle, Breakdown) English language debut, a powerful, soulful and intensely moving drama about addiction, its tragic consequences and reverberations through a family. 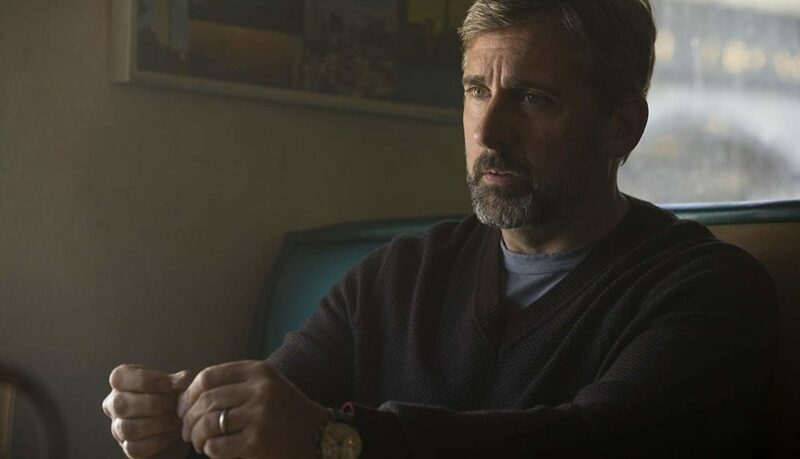 Carell is David Sheff, a successful journalist and proud father; to teenage son Nic (Chalamet) from his first marriage and two daughters from his second to artist Karen (Maura Tierney). 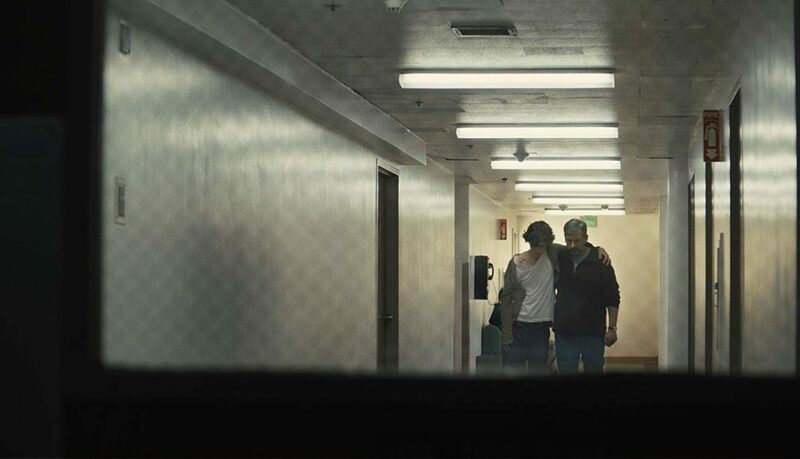 A relaxed, affectionate and communicative dad, he isn’t alarmed when Nic begins experimenting with marijuana; but then his son’s initially casual interest in drugs expands into an urgent addiction to crystal meth. 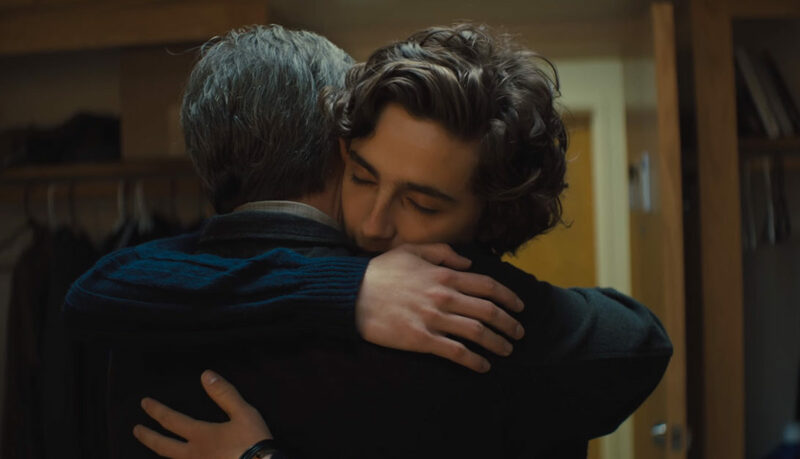 As Nic transforms from his father’s beloved beautiful boy into an unhappy and chaotic addict, their relationship is repeatedly challenged to its core. 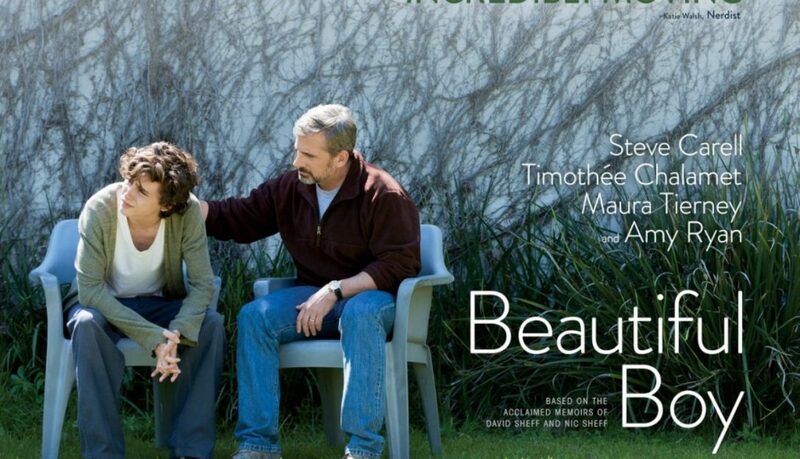 Based on a true story, Beautiful Boy is (unusually) adapted from two separate memoirs by both David and Nic Sheff about the experience, enriching our sense of the film’s authenticity. 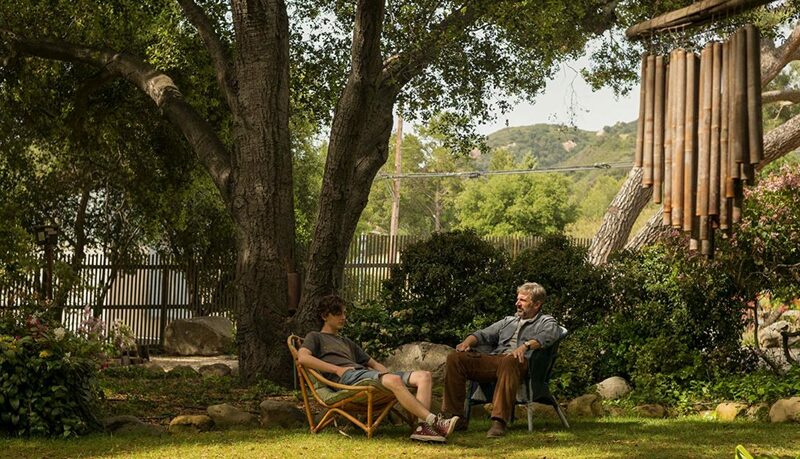 It’s also acted with startling emotional power, with Carell and Chalamet evincing entirely believable father-son chemistry and painful vulnerability in performances that are already generating talk of awards.